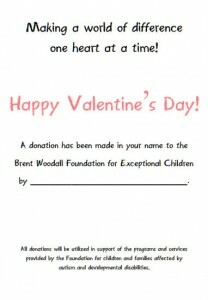 Make a donation in your loved one’s name to the Brent Woodall Foundation, and we will send him or her a Valentine’s card featuring the below heart. NOTE: Before submitting your contribution, make sure to indicate the name and address of the person(s) you would like the card to go to in the area “Add special instructions to the seller.” If you would like to give the card to your Valentine yourself, please indicated how you would like us to deliver the card to you. For questions, please email erin@woodallkids.org or call 972-756-9170. If you would like to donate any other amount, please use the link below and you will be provided an opportunity to enter any donation amount. 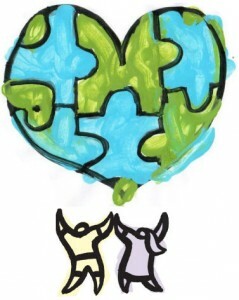 The Brent Woodall Foundation is a 501(c)3 non-profit foundation and all donations are 100% tax deductible.